Music hall artistes, stars or unknowns, were no strangers to the courts and the newspapers had a field day reporting drunken escapades, thefts, adultery, assaults and disputes between managers and performers. Not quite respectable but still a good source of entertainment on and off the stage. In London, March 1897, Lily and Ellen Brown were charged with being disorderly and using obscene language. Shrieks and cries were heard around two in the morning in the Regent’s Park area where two young men accused the women of robbing them in a cab. The men refused to bring charges and the Misses Brown used ‘filthy and most disgraceful language — creating so great a disturbance that the whole neighbourhood was roused’. They said they had been taking part in a ballet at the Empire Theatre and were on their way home. The magistrate felt that dancing in the Empire ballet should have been sufficiently exciting for them and that they seemed to have an exuberance of artistic talent. They were fined ten shillings. The Sisters Levey were a popular song and dance act but were subjected to ‘clowning’ by a cellist in the orchestra at the the Royal Court Theatre in Liverpool. 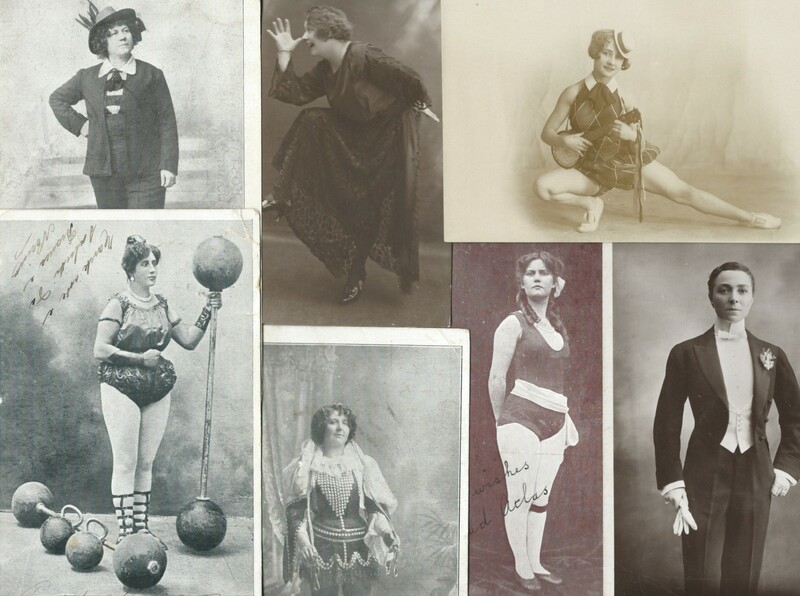 ‘Clowning’ was the term used for purposely substituting the wrong music during a music hall act. The cellist, Frank Richardson, also absented himself from the orchestra during the performance. He was sacked and went to court to claim £4 10s (£4.50) for wrongful dismissal. He claimed it was customary for a musician to leave the performance for a few minutes if not needed for the piece but the theatre management responded that he was absent during the playing of two numbers, in one of which he was a soloist. 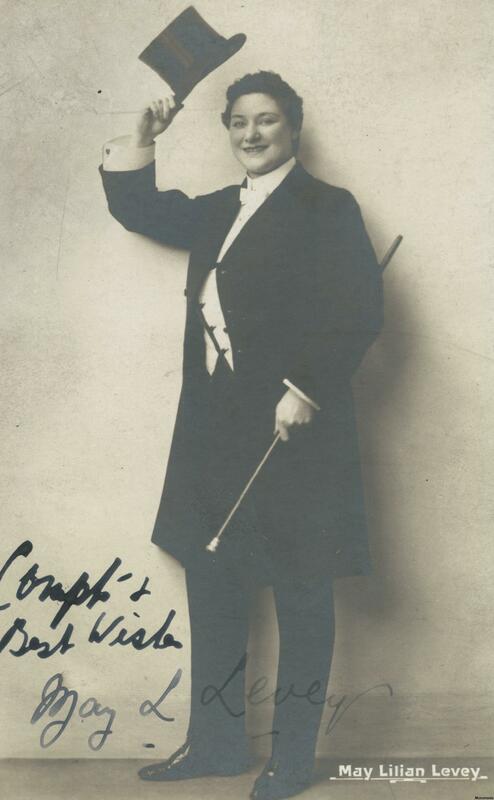 The conductor appreciated that Frank Richardson was an excellent cello player but he had frequently been reprimanded for ‘clowning’ which took place when the Sisters Levey were on the stage and they had complained. The judge found against the cellist remarking that he had been properly dismissed, considering his conduct. Marie Lloyd seems to have spent quite a lot of time in court on her own behalf or connected to other cases. In January 1893 her husband, Percy Courtenay, summoned Bessie Bellwood for assaulting him at the Trocadero Music Hall. Bessie Bellwood, a former rabbit skinner from Bermondsey, was a fiery character who gave hecklers a hard time. Although a devout Roman Catholic she was known for her strong language on and off stage. 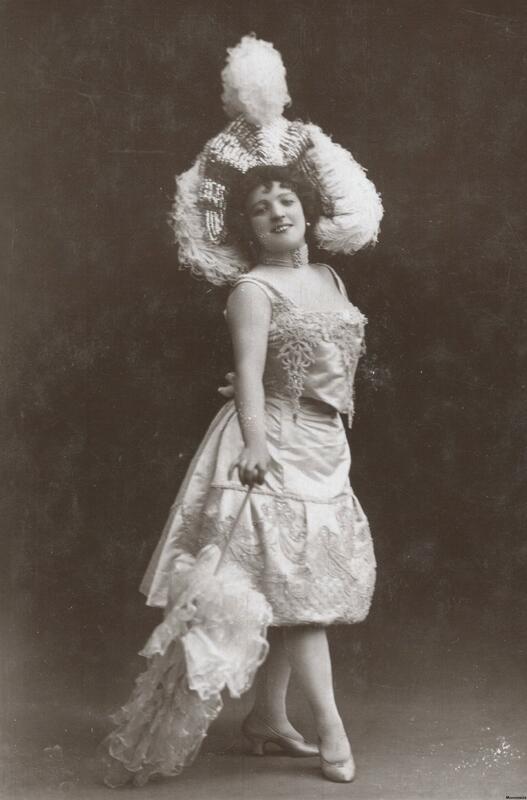 Like many music hall performers she was a heavy drinker which might explain her tendency to lash out when riled. This case was adjourned and all parties seemed to have calmed down as it wasn’t pursued. Marie Lloyd took her coachman to court in 1896 for stealing a gold watch and diamond ring from her. Herbert Norton, aged twenty-four, had worked for Marie Lloyd for two years and disappeared one Saturday without notice. The ring was missing and found at a local pawnbroker’s along with the gold watch. Marie Lloyd was notoriously soft-hearted and generous and rather than prosecute Herbert she sent a telegram to his address saying if he returned the items by six o’clock she would not go to the police. She heard nothing but on Monday a parcel arrived containing Herbert’s uniform breeches, a tie and two pawn tickets. She sent the parcel back and went to the police. At the trial Marie Lloyd said, ‘Herbert, if you had asked me to forgive you I would have done so’. Apparently Herbert had robbed her before but she had forgiven him. The magistrate asked Marie if she desired to recommend him to mercy now to which she replied, ‘Oh, yes, please’. Herbert was sentenced to two months’ hard labour. 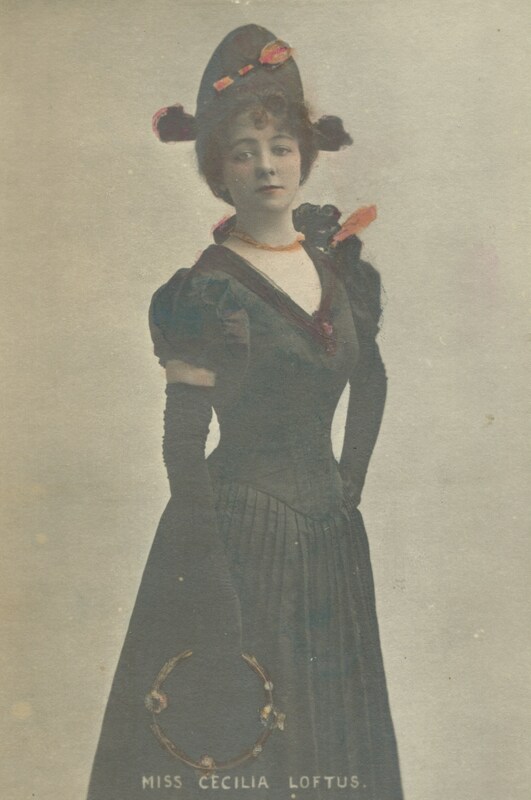 Next, the sad case of Cissie (Cecilia) Loftus who was a popular and gifted mimic on the music hall stage. In 1922 she was arrested for the possession of drugs and also had blank prescriptions in her bag. She told the arresting detective that she was undergoing a cure and a court case would ruin her. It was said in her defence that that she had had a long period of ill-health through which she had to work as her husband had left her with large debts. Drugs were administered to her during a serious operation and during childbirth and she became unable to resist them. Cissie said she had become almost afraid to appear on the stage and drugs helped her. She said her friends knew she was trying to free herself from the drugs habit. The judge ruled that she be placed on probation for a year on the condition that she went into a home for six to twelve months where she would be under strict medical supervision. Two of Cissie’s friends undertook to see that she complied with the terms of the judgement. Less seriously, but still worthy of a court case, a waiter at the Tivoli Music Hall in London was charged with unlawfully offering cigar ends for sale. There was said to be a thriving trade between the music halls and cigar makers in the East End who used the ends to make cheap cigars. An attendant at the Pavilion Music Hall was prosecuted on behalf of the Inland Revenue with selling cigar ends without a licence. One line of defence was that in Paris and New York this was considered an acceptable business but the Inland Revenue wanted to stop the collection of cigar ends in large places of entertainment. Do you think they succeeded? The case was adjourned. This entry was posted in Music Hall court cases and tagged Bessie Bellwood, Cissie Loftus, Marie Lloyd, May Levey, Sisters Levey on November 15, 2015 by Monomania.